In a dashcam video shown to jurors, Couch is seen telling North Richland Hills police officers responding to a disturbance two years ago that he is a reserve officer. When officers from the North Richland Hills Police Department arrived, Capo told NBC 5 that he told police he wanted to press charges but that they tried to talk him out of it after they talked with Couch. Since 2013, the family has been embroiled in one legal drama after another. 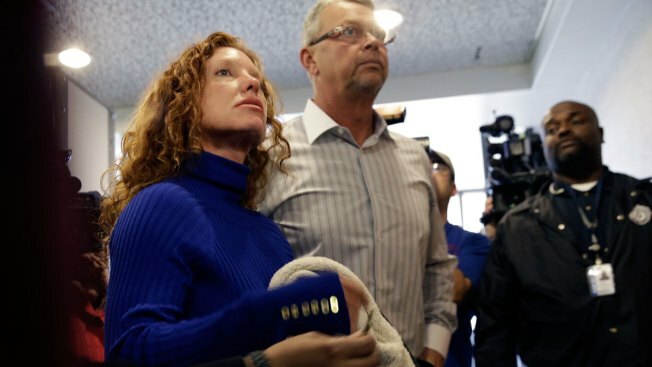 Couch's son, Ethan, was initially given probation in a 2013 drunken driving crash that killed four people after defense attorney's invoked the oft-referenced "affluenza" defense -- a claim that Ethan grew up spoiled and with a lack of good parenting. Ethan is now serving nearly two years in a North Texas jail for the crash after his case was moved from juvenile court to adult court in early 2016. In September, his lawyers argued in a court filing that he should be released over a jurisdictional matter. Tonya Couch, Ethan's 49-year-old mother and Fred's ex-wife, has been free on bond since being charged with hindering apprehension of a felon and money laundering for fleeing to Mexico with a large amount of cash and her son while he was on probation for the 2013 crash.